The papers of the Rev. 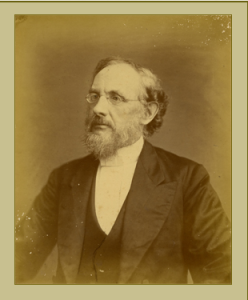 Charles Stuart Vedder (1826–1917) consist primarily of letters as well as diaries spanning a period of over sixty years. Vedder moved from Schenectady, New York, to Columbia, South Carolina, to study at Columbia Theological Seminary. He was called upon to become pastor of the Summerville Presbyterian Church in June 1861. After the end of the war, Vedder became pastor of the French Huguenot Church in Charleston, South Carolina, where he served for forty years. The postbellum portion of the collection concerns Reconstruction as well as Vedder’s interactions with members of prominent South Carolina families.